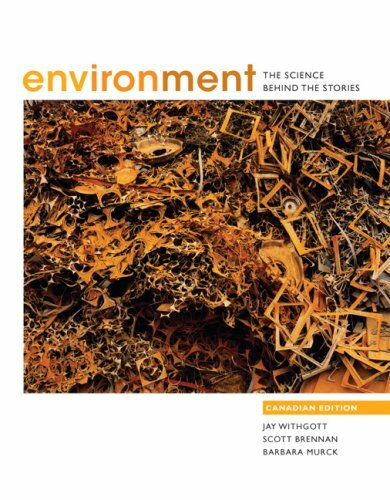 Environment: The Science Behind The Stories offers a thorough and engaging study of the environment to Canadian students. By applying an approach that creatively blends science and social issues and by situating the presented issues in a Canadian and global context, this text offers lasting appeal to students and instructors alike. A variety of pedagogical features helps students learn and retain the presented material. 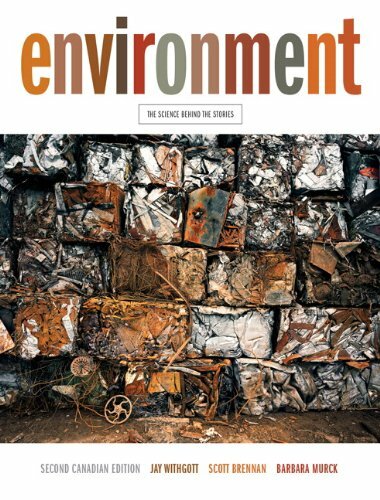 Case studies appear at the beginning of each chapter and highlight Canadian people, places, and data that are in the foreground of environmental action. The "Science Behind The Stories" textboxes engage students in the scientific process of testing and discovery. "Weighing the Issues" boxes challenge students to grapple with difficult ethical questions. And our new "Canadian Environmental Perspectives" profile a wide variety of Canadians who contribute to our understanding of the environment. Barb spent her undergraduate years learning about Geology at Princeton University, followed by two years working in international development as a Peace Corps Volunteer in West Africa. Returning from Africa, she decided that it was probably time to grow up. Not knowing exactly how to achieve this, she applied for graduate school at the University of Toronto, where she received her Ph.D. in Geology in 1986. Barb has thus been teaching at the University of Toronto since approximately the dawn of time – starting as a T.A. in 1980 and moving on to become a faculty member in 1985, in what was then the Department of Earth and Planetary Sciences. International development work (in general) and Africa (in particular) have a way of getting into one’s blood, and Barb kept up this passion by becoming involved with a group of researchers in the UofT Department of Geography and the Institute for Environmental Studies. She collaborated as a graduate student on a project concerning urban environmental issues in Sudan, and has been working with the same core group of researchers since then. The most recent projects have focused on environmental management issues in China, Vietnam, Laos, and Cambodia. Barb currently teaches ENV100 The Environment (to 500 first-year students); Environmental Issues in the Developing World; and Natural Hazards: Risk and Vulnerability, as well as supervising a 4th-year Environmental Internship course. She has written a number of textbooks and books for the general public, on topics ranging from Physical Geology to Environmental Science and Environmental Management. She has received the UTM Teaching Excellence Award, and is grateful to her wonderful students for having nominated her for TVO’s Best Lecturer contest in 2005.